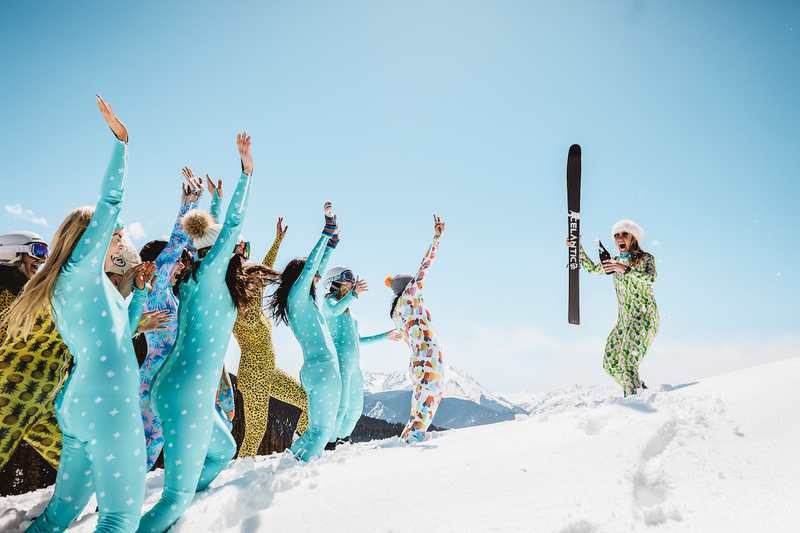 We recently had the chance to catch up with the founder and designer of Racysuits, the apres-ski lifestyle brand, Marina Barnes. Marina grew up just a few hours from the ski slopes in Lake Tahoe, CA. Her first ski lesson was during a preschool field trip at the age of 3! Hence her tagline ‘living my best life’. She talked us through her adventures with The Ski Week in a little more detail. The connecting flight from Denver flies you through giant snow capped peaks before descending into the small town of Aspen. Pulling my faux fur coat tighter I step onto the tarmac and voilà - The Ski Week adventure begins. If you are a traveler at heart, spending all your income on adventure and flights around the world feels just as important as putting clothes on your back and food in your mouth. 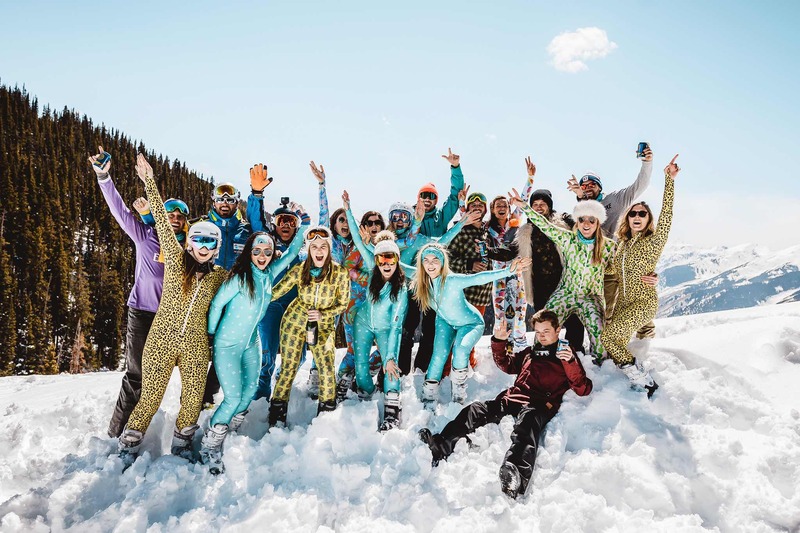 “My advice to anyone considering this trip is simple - take more time off work, book the full week, and experience all that Aspen has to offer. First there are the mountains, the breathtaking Rocky Mountains. Ajax, Highlands & Snowmass Resorts are all within a 20 min drive of your Ski Week condo. It’s a skiers paradise to have a full week there. It doesn’t matter how late you went to bed the night before, you will rise to the occasion and be on that mountain at 9am ready for another day. The skiing is that good. Also, possibly the best hangover cure ever. Don’t forget the weather conditions. Spring skiing is a special cocktail, mixed with blue bird days, mild temps and epic pond skims. Aspen might even give you a fresh dusting of snow! In April you will find the slopes less crowded but packed with more fun. The heavy snow gear comes off and the flashy apres-ski attire takes over the mountain. 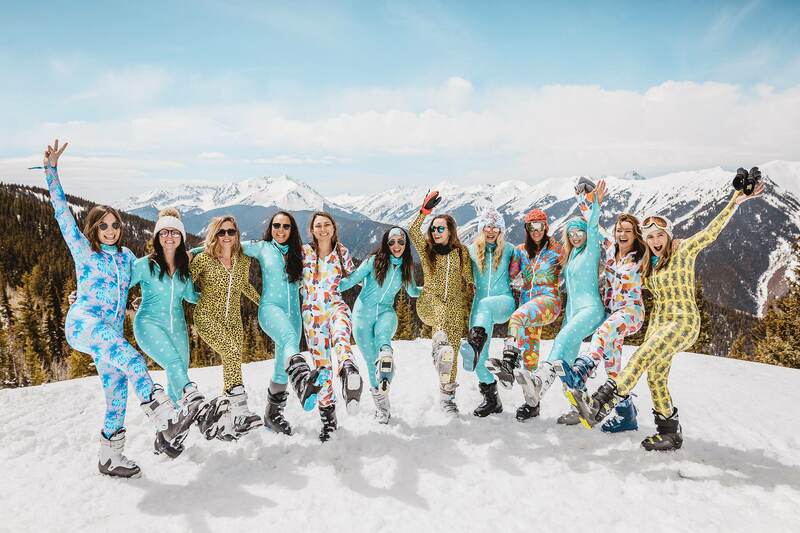 Think unicorns, faux fur, face glitter and of course vintage ski suits (aka Racysuits). Apres-ski starts at 4pm. Every day The Ski Week will show you an apres like you’ve never dreamed possible. 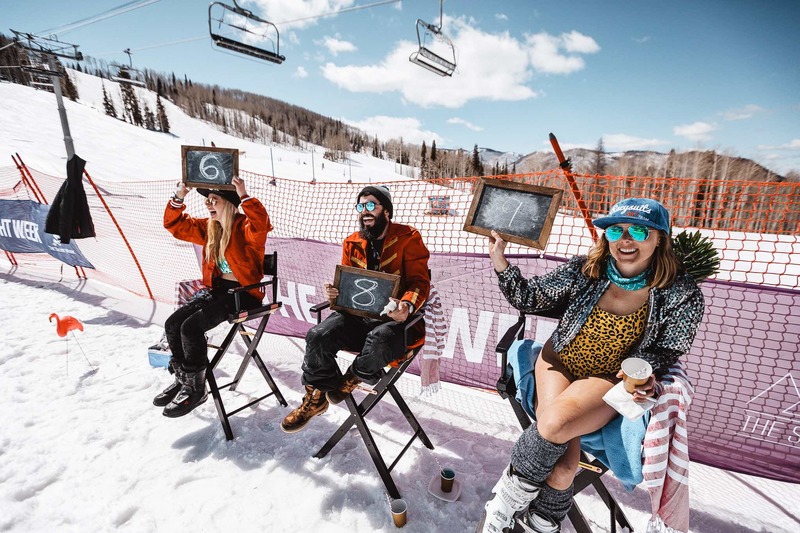 Their DJ picks a different sundeck, bar or mountainside pond skim location each day with ski-in spots so you can arrive fresh off the mountain to live beats and brews with 500+ new friends from around the world. The Ski Week is an experience that will have you coming back for more. You will find your people here, a special community that is connected to the outdoors, adventure and a new level of fun. All you have to do is show up, make all the new friends and ski every damn day. You will leave with a full heart, very tired legs and undeniable rights to the phrase ‘living my best life’.